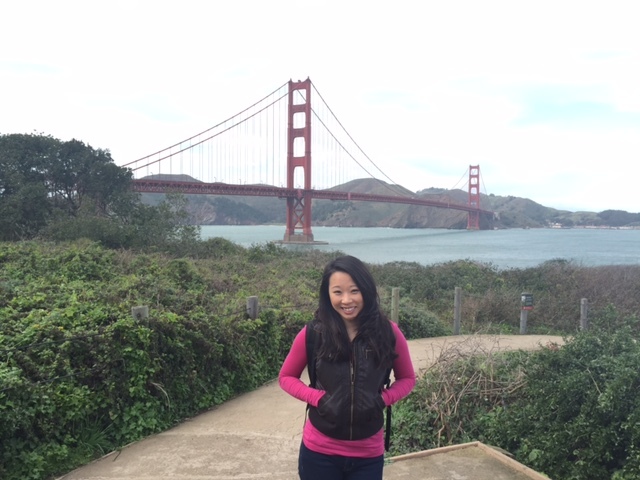 This week we talked to Kimberly Chism, Senior Delivery Lead & Sales Associate at K2’s office in San Francisco. 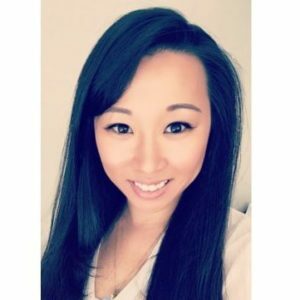 I am a Senior Salesforce Recruiter and Sales Associate for the San Francisco office. I have been with K2 for two and a half years having initially moved from Mississippi to San Francisco in October 2014. I gave myself two months to find a job or move back home. A college alumni, who worked for K2, posted something about a job on the Facebook alumni group and I applied – the rest is history! What do you do when you arrive at the office in morning and how do you set yourself up for the day? Being a highly introverted person, I typically arrive at the office 30 to 90 minutes early to start my day off quietly. I am usually the first in the office so I make breakfast, sort through emails, and start planning my day based on priority levels. What are some of your daily highlights, what do you enjoy most in your day? I interact with almost every person in my office on a daily basis based on my current role. I recently started mentoring junior recruiters and I really enjoy seeing them learn something new every day and the progression they make in their careers. I think I get as excited as they do when they close their first deal! How do you wrap up your work at the end of the day? I usually wrap up my day by prepping for the next day/week on my calendar and « to do » lists. You can almost always find me at the gym straight after work for hot vinyasa yoga or some cardio. I also enjoy going for drinks and dinners with friends. There is an endless amount of activities to do in San Francisco! 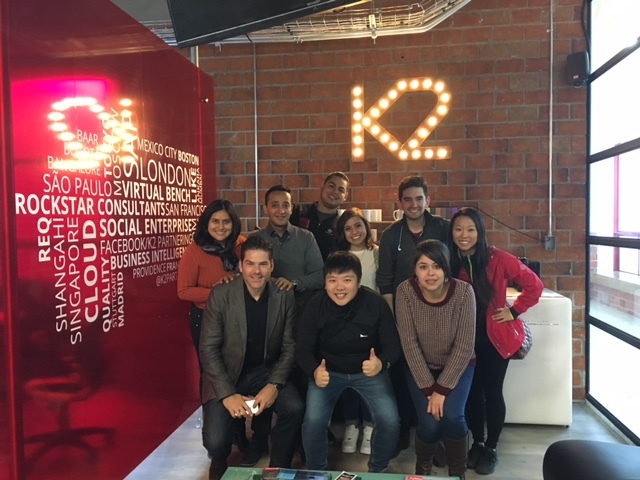 What’s the most important thing you’ve learnt working at K2? 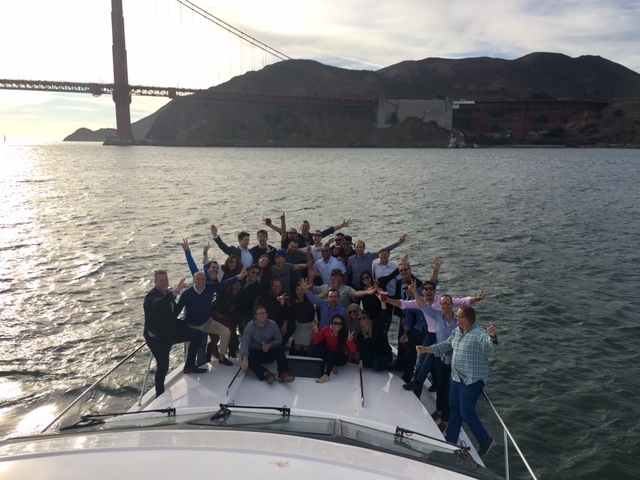 The most important thing I have learned at K2 is that it takes a ton of different people to run a successful company! I continuously meet people from all over the world and the US, in different walks of life, and having the ability to understand the other side will help you in almost all situations. Create great, long-lasting relationships by « doing what you say you’re going to do » and create and embrace change! 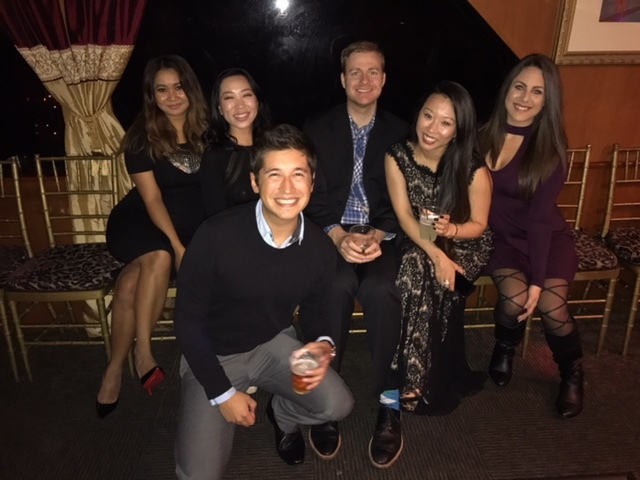 The K2 San Francisco team at last year’s US Christmas Party. Kimberly Chism is a Senior Delivery Lead & Sales Associate at K2 in San Francisco. Looking for your next role in recruitment? Find out about working for K2. Consultant looking for your next project? Register your details with us.